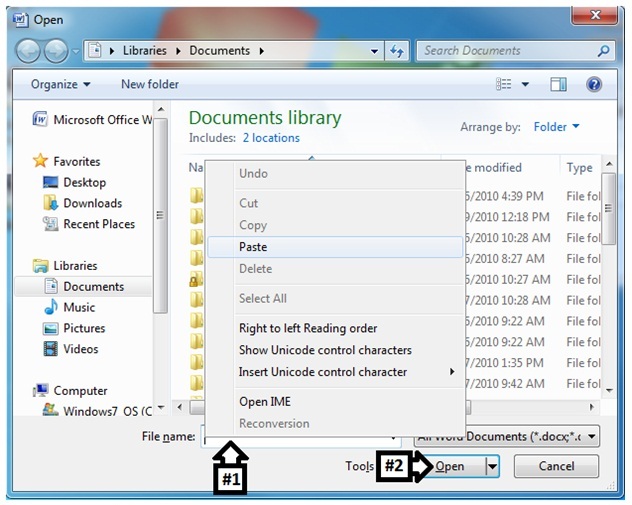 To browse for files and folders you need to press the Windows® key and the “E” key to open Windows® Explorer. 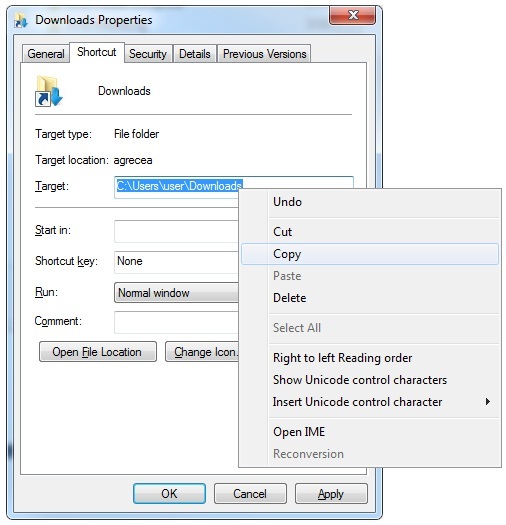 In Windows® 7 it automatically opens up Computer. You can open the same location by going to start -> computer. Start -> Documents is another commonly used location for document files. The Documents is a common location for files created by computer operators with the help of applications or A.K.A Programs. In the Computer window you can see the left hand side panel or tree with most common locations. Each of them has descriptive names like, Pictures, Documents, Music as well as suggestive icons. 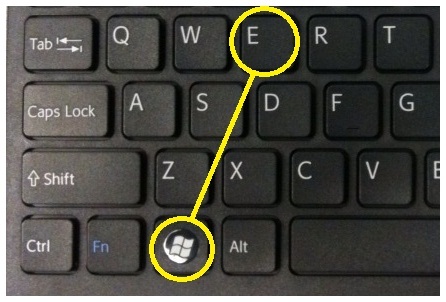 But the root of all information is usually the “C:\” drive in the picture below. To get to it go to Computer from the start button. If you click this drive you can browse and find every file that the computer contains. For example if you are looking in documents folder, the path of it is: C:\users\yourusername\documents. 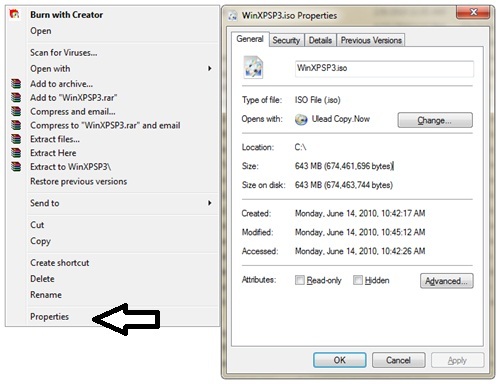 If you right click on any file or folder and from the popup menu select properties you will view the file’s proprieties. If you look at the size of the file below, it is the size of a CD-ROM. CDs hold 700 MB=MegaBytes. A DVD can hold 4.3 GB=GigaBytes. If you have seen the 4.7 ads on DVDs you need to know those are 4.7 Gb not GB. Gb=Gigabit, GB=GigaByte, MB=MegaByte, Mb=Megabit. You could use this method to see your profile size when you decide to back it up. You can see any file’s or folder’s size with this method. The folder’s size is the summation of all file sizes within. If you look at the above window at the #1 top it shows you the location you are viewing right now, which is the Documents folder. If you check at the #2 right hand side there is the scroll bar. You can see that we are scrolled all the way down, but besides folders we see only 4 files, 3 excel and one shortcut. I have more than three files in my Documents but because excel is looking only for files it knows based on extension it reduces the display scope, and we don’t see all the rest. 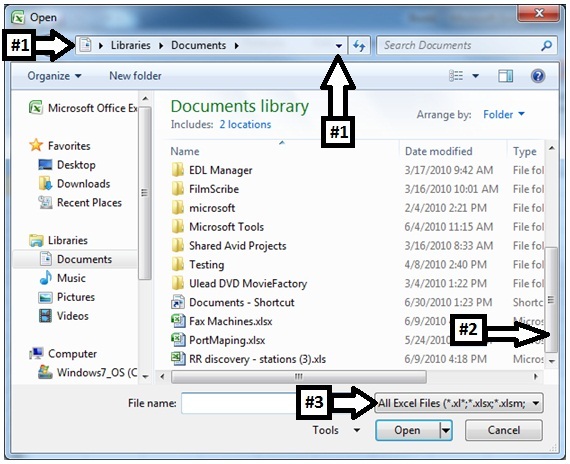 If you look above the open button #3 you can observe the file extensions for which excel is looking, that is why you will be able to only see the Excel compatible files. You can change it to “all files” and view all available files in that folder. So in general don’t open or try to look for files by opening Excel or any other application and then go to file open to browse for files. Use Windows® Explorer. On the left hand side of the open dialog box you can view other common locations where you can look for files, including the C:\ drive from where you can browse every existing folder/location on your computer. 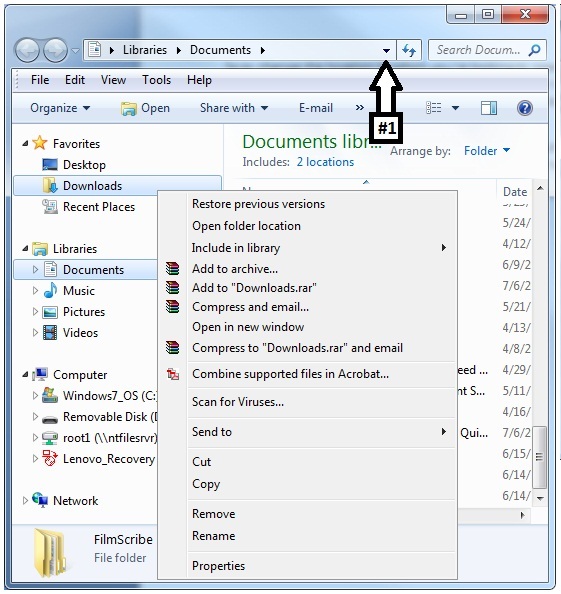 To change the location in which you’re looking to open files, click at the top the #1 arrow pointing up, or select the common locations on the left tree. In Windows® 7 OS things have changed a bit in terms of exploring locations. Many more folders don’t exactly show you the full address path and you have to improvise. Open a location like “documents” and then on the left panel right click on any of the items to get a popup menu. Select proprieties from the popup menu. Now select the location and copy it. After pasting the info in the (#1) file name area, click (#2) open and the explorer will take you to the location where your file is. This is helpful because you don’t have to browse folder by folder. 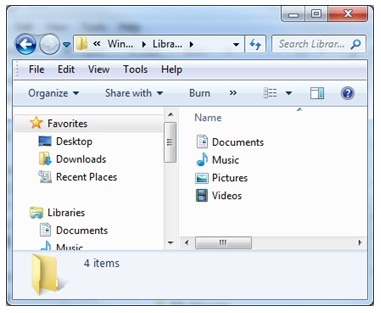 Usually the Downloads, Libraries and other folders you find in the left panel in Windows Explorer®.